[Introduction] The release of the AI ​​strategy is a new upgrade for Huawei. It has entered the intelligent stage. This not only expands the boundaries of Huawei, but also means that Huawei and the international AI giant compete with each other, except for the basic hardware and software business. In addition, there is an opportunity to surpass in more areas in the future. From October 10th to 12th, the third HUAWEI CONNECT 2018 (Huawei Full Connection Conference) arrived as scheduled. This is Huawei's most important developer conference and the window for Huawei to display the ecosystem. Like 2017, ICT (Information and Communication Technology) is still the key word, which is Huawei's birthplace and the frontier of touching other fields. However, unlike the previous conference, AI became the protagonist of this year. 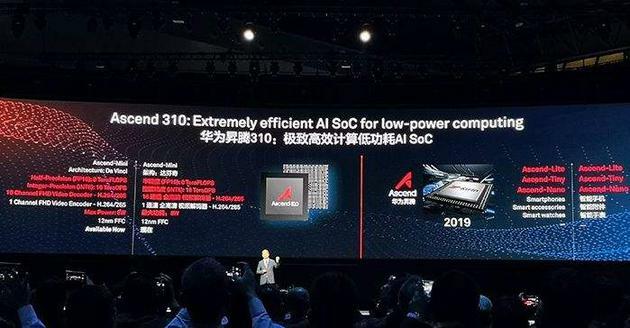 Xu Zhijun, the chairman of Huawei's rotating company, systematically expounded Huawei's AI strategy and full-stack full-site AI solution, including the artificial intelligence Ascend series chips. The concept of a full-stack solution is enormous. On a global scale, there are no companies that can provide full-stack solutions, especially in Europe and the United States, often emphasizing their expertise in one area. Therefore, Huawei's "full stack" is more unique. During the exchanges during the meeting, Huawei executives repeatedly told reporters that the “full stack” was proposed for multiple scenarios. From the cloud to all types of terminal devices, such as cars, watches, mobile phones, etc., AI needs to be assisted, and the scenes must be related to each other. Partners need equipment and need computing power. So what does this gun mean for Huawei? Looking back at Huawei's development process, from the initial B-side server and switch business, to the C-side mobile phones, notebooks and other terminal products. In this process, Huawei began to approach consumers and open up a broader space. Huawei's image is more comprehensive. Nowadays, the release of the AI ​​strategy is a new upgrade for Huawei. It has entered the intelligent stage, which not only expands Huawei's borders, but also means that Huawei and international AI giants compete with each other, except for the basic hardware and software business. In the future, there will be opportunities to surpass in more fields. According to Xu Zhijun, Huawei's full stack is a technical function perspective, which refers to a full stack solution including chip, chip enable, training and reasoning framework and application enablement. The solution consists of four parts. One is the chip-level Ascend, which is a series of AI IP and chips based on a unified and scalable architecture, including Max, Mini, Lite, Tiny and Nano. During the conference, the Shengteng 910 (max) and the Shengteng 310 (mini) were released. The Shengteng 910 will be launched next year, and the Shengteng 310 has been mass-produced. The second is CANN, the chip operator library and highly automated operator development tools, which can improve development efficiency; the third is MindSpore, which supports end, edge, cloud independent and collaborative unified training and reasoning framework; Yes, provide full process services (ModelArts), layered APIs and pre-integration solutions. Previously, some of Huawei's Kirin chips were based on the Cambrian structure. After that, they should all use the self-research structure. They will not use the Cambrian, and the Kirin will change. ” A Huawei insider told reporters. He recalled to reporters that in 1991, Huawei made chips, which required high integration, which was the first stage; the second stage was because ordinary commercial chips could not meet business needs, but commercial chips were either expensive or bought. No, so you need to do it yourself; the third stage is based on business judgment. Huawei started to make 3G mobile phone chips in 2005. At that time, Huawei did not have a mobile phone business, only data cards, but the data cards were in demand at the time. Trend, so I decided to do it. “Now the unicorn is determined to do it. It can be said that it is based on business decisions, but it is actually a vision drive. Now it can be said that it is the fourth stage, that is, artificial intelligence chips. There are not many companies on the market to buy, and we are cloud, Artificial intelligence chips are required for edges, ends, pipes, and the like. We need artificial intelligence solutions to innovate on the basis of scenarios. Our chips are full-scenario coverage, scalable, high performance, and low power consumption in some application scenarios. The main purpose is to reduce costs and increase integration. & rdquo; Xu Wenwei said. Beyond the chip, Huawei's artificial intelligence framework Mindspore is also attracting attention. As we all know, AI is not a single technical system, but the intelligent integration of many systems. The AI ​​system mainly includes the following aspects: one is the business application layer, the packaged third-party application, or the customized application and technical solution; the second is the intelligent framework layer, and the deep learning framework intelligently processes the data based on the cloud computing layer. It is the brain of the AI ​​system; the third is the cloud computing layer, which provides computing power, and handles various traditional forms of data on the basis of the big data layer; the fourth is the data acquisition of the big data layer, including the physical world and the online world. Storage, such as production data, financial data, social life data, autopilot road data, etc. At present, most domestic enterprises are at the application level, and a small number of giants have made achievements in the cloud, such as Alibaba Cloud and Huawei Cloud. For the computing power of artificial intelligence, there are very few top players in China. The giants include Huawei, Ali’s Pingtou and Dharma. The vertical field has Cambrian and horizon. There are many vendors and technology genres in the chip, but there are only a handful of operating systems in the world. The ecosystem built on the operating system determines the life rhythm of all hardware and software. At present, the top-level artificial intelligence frameworks come from the United States. The most famous ones are Google's TensorFlow, Facebook's pytorch, Amazon's Mxnet, and even Microsoft has developed the smart framework CNTK. It can be said that almost top technology giants are competing for champions in this field. . The artificial intelligence framework and platform touched almost no domestic enterprises. Previously, only Baidu's Paddle-Paddle and Ali's PAI, but overall it was not strong enough. Today, Huawei's Mindspore is a new artificial intelligence framework, and there is no open source yet. .
What is more cruel than the Internet era operating system is that the giant's smart framework is basically an open source model. In the PC and Internet era, Microsoft and Apple are relatively closed operating systems. Only Android is open source, which makes other countries that do not have operating system technology have the motivation to develop operating systems. But in the era of artificial intelligence, Google, Facebook, etc. have opened up their top-level deep learning framework, and freely give computing power, build a community for free, and even spend a lot of effort to train developers. The fundamental purpose is to build a very high migration. Cost, if the top developers are attracted to Google, the Facebook camp, it is very difficult to let them learn the domestic smart framework. The same is true for the company. If there is a ready-made free open source technology solution, it takes great strength and courage to invest huge amounts of manpower to develop the underlying technology. At present, China can only expect that giants such as Huawei and BAT can have such a determination to regain a game on the artificial intelligence operating system after losing the PC and the Internet operating system. There are three kinds of ecology in the computer world: one is the PC ecology led by Intel and Microsoft. It is characterized by improving hardware performance, using Moore's Law to continuously upgrade firmware for the baton to gain market growth. Second, the Internet ecology represented by Google and Apple. It mainly provides infrastructure to attract developers to enter and obtain user value through Internet services. The third is artificial intelligence ecology. This ecological pattern is undetermined, and each family is doing early-stage technology investment. At present, Google's artificial intelligence project is the most comprehensive and powerful, and its deep nerves have drawn a lot of developers. Now, the artificial intelligence industry is in the stage of building an ecological environment, and the business form is the second. It is the first place to attract more developers and upstream and downstream manufacturers. Huawei also built its own technology ecology with high-profile, and held a full-connect conference to improve its voice in the AI ​​field. On October 11, Huawei announced that it plans to develop 1 million developers and partners within three years, and also promote the establishment of the Global Industry Organization Summit (GIO), which aims to promote exchanges and collaboration among industry organizations, including 3GPP, 5GAA, 16 industrial organizations such as 5GSA. 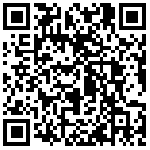 In the application case, Huawei Airport, China Merchants Bank, Audi, etc. all applied Huawei's AI technology. It can be seen that Huawei's AI strategy has covered all aspects from cloud to end, from algorithm to computing power, from training to reasoning. This also raised questions about Huawei's borders. Xu Wenwei said that Huawei will continue to adhere to the "do not touch the application, do not touch the data", the future industry is a competitive relationship, not vicious competition, the most important thing is to make the industry bigger. HUAWEI announces AI strategy: two AI chips will not be sold to third parties separately. HUAWEI's force AI, the Cambrian very hurt?